Home / Uncategories / Former President Olusegun Obassanjo Cries Out They Want To Frame Me Up And Dump Me In Jail. A former President, Chief Olusegun Obasanjo, has raised the alarm that the Muhammadu Buhari-led administration has put his name on its security watchlist. 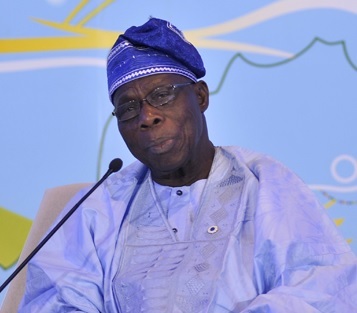 Obasanjo claimed security agencies are plotting to arrest and put him in detention. The former president made these allegations in a statement signed by his media aide, Kehinde Akinyemi, on Friday in Abeokuta. Obasanjo noted that the present administration wanted to blackmail him into abandoning his divine mandate to protect the rights of Nigerians to a better life. “But, since that could expose the government to a swath of international condemnation, embarrassment and outrage, it is said that another plot being hatched is to cause the Economic and Financial Crimes Commission to re-open investigation into the activities of Chief Obasanjo’s administration using false witnesses and documents. This will be a re-enactment of the Abacha era in which Chief Obasanjo was one of the principal victims.